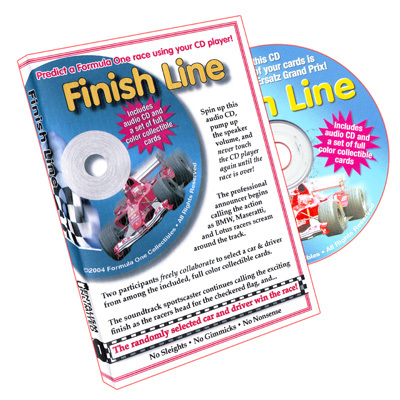 Spin up this audio CD, pump up the volume, and never touch the CD player again until the race is over! The professional announcer begins calling the action as BMW, Maseratti, and Lotus racers scream around the track. Two participants freely collaborate to select a car & driver from among the included, full color collectible cards. The sportscaster on the CD continues calling the exciting finish as the racers head for the checkered flag, and ......The randomly selected car and driver win the race!